Discover our complete range of Traditional Alsace wines, Crémants, Late Harvest vin, Grand Cru Altenberg de Bergbieten and Brandies, all with unique characteristics and specificities of their one. You’re not sure which wines to choose? 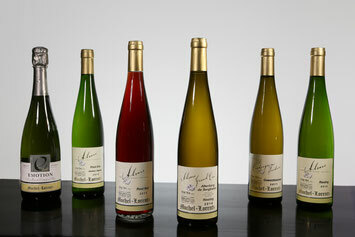 Don’t hesitate – come by and taste them on site at the MOCHEL-LORENTZ Estate!